Providence Perfume Co* Hindu Honeysuckle does not fall into the “remedy scent” category of natural perfumery. 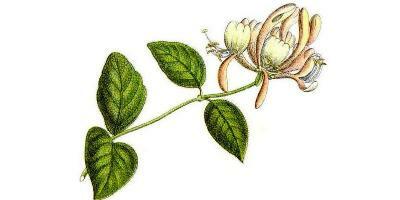 Hindu Honeysuckle includes fragrance notes of bergamot, jasmine, vetiver, ambrette seeds, rose and coriander. I have no idea if “honeysuckle” is in the perfume or if its scent is conjured by the other fragrance notes; nor am I sure if “Hindu” honeysuckle refers to a type of honeysuckle plant from India or if the designation “Hindu” is simply Providence Perfume Co’s ‘PR speak’ (the marketing materials mention Bhramari Devi, the bee goddess, and honeysuckle’s symbolism in India — the flower represents generosity, kindness). Hindu Honeysuckle starts off sweet and syrupy, with rich bergamot and (non-indolic) jasmine. The opening accord smells most like honeysuckle (though no honeysuckle on the vine provides the floral richness Hindu Honeysuckle does.) In India, honeysuckle flowers are steam distilled into a sandalwood base to produce a floral-woody attar; in Hindu Honeysuckle, coriander and ambrette seeds anchor the flowers, producing a floral-spice-vegetal musk perfume. As Hindu Honeysuckle develops, a black-tea-with-honey scent mixes with the floral aromas (some “dark” rose and dense jasmine). In the dry down, there’s even a hint of tuberose-like scent combined with an aroma that reminds me of “hay.” In the extreme dry-down, there’s a touch of vetiver, and I layered Hindu Honeysuckle with khus — vetiver attar — with great results. I’ve smelled many Indian attars lately, and Hindu Honeysuckle fits right into the Indian style of perfumery — rich, opaque, floral and forceful. On the days I wore Hindu Honeysuckle, I wanted to keep reapplying the scent (and book a flight to Delhi). My only problem with Hindu Honeysuckle is its longevity; though it’s an Eau de Parfum, it lasts on my skin about two hours (you can extend that time by getting dressed immediately after spritzing yourself with the perfume — cloth holds onto scent longer than flesh). Most natural perfumes have mediocre lasting power, and I can usually deal with that if I love a fragrance, but at $115 for 30 ml I’d go through a bottle of Hindu Honeysuckle a month; for me, it’s simply too expensive for a cologne-type scent. Though it possesses a powerful floral punch, Hindu Honeysuckle’s vetiver, coriander and musk notes make it a unisex fragrance (to me, at least). Providence Perfume Co Hindu Honeysuckle Eau de Parfum is available in 30 ml spray ($115) and 6 ml travel atomizer ($26). Samples are also available. For buying information, see the listing for Providence Perfume Co under Perfume Houses. * Providence perfumes are 100% natural and blended in a pure alcohol spirit base. Note: top image of honeysuckle via Wikimedia Commons. This sounds lovely. Thanks for the review, Kevin. I wonder if I’d have better luck with longevity on my scent glue skin?!? Rappleyea: I”m of the “10 spritzes and I’m ready to go” school and that didn’t make any difference to the longevity. Getting some on my shirt made all the difference. Thanks for the review Kevin. It sounds absolutely beautiful. I have been looking for jasmine, tuberose and honeysuckle fragrances to add to my collection. I would definitely give this one a try. Ladymurasaki: I need to try more from this line myself…. Kevin, your review suggests an interesting question, “to spritz and then dress or to dress and then spritz?” I can determine from your comments that you are of the former persuasion, but I must admit that I am of the latter! I like to spritz AFTER I dress precisely because I know some of the scent will attach itself to my collar and cuffs and I like to extend my fragrance for the day! MR: I’m always afraid that very direct approach will stain my clothes…especially whites. I have had a problem with some natural perfumes staining. $115 for 30 ml is steep, but $26 for 6 ml — against all mathematical reason, that seems within the realm of possibility. This sounds lovely, and I have been curious about Providence’s Indolice; perhaps some samples are in order. This sounds very complex and delicious for a natural perfume. Beautiful review as always. Just reading about Indian perfumes brings back so many memories of the smells, colours and life of the country. Anna: thanks…I”m hoping to FINALLY get to India this year…can’t wait. I was going to say natural perfumes are growing on me, but that conjures Arcimbolo images! I wore this last Saturday. Spritzed a bit on my neck and collar of my coat. Lasted until the next day. It is an amazing scent and with many layers of honeysuckle goodness. To me, was Spring in a bottle. Natural perfumes are very costly to make and for 30 ml of this gorgeous scent, I would expect to pay that much.